Parking lots nearby at the corner of Illinois and LaSalle. #22 Bus, stop at Grand coming from the North. Stop at Hubbard if coming from the South. Walk a ½ block west. #36 Bus, stop at Illinois coming from either direction, then walk 1 ½ block west. Rockit Ranch Productions can book your entertainment for your private party needs. No live entertainment is offered in non-private areas. 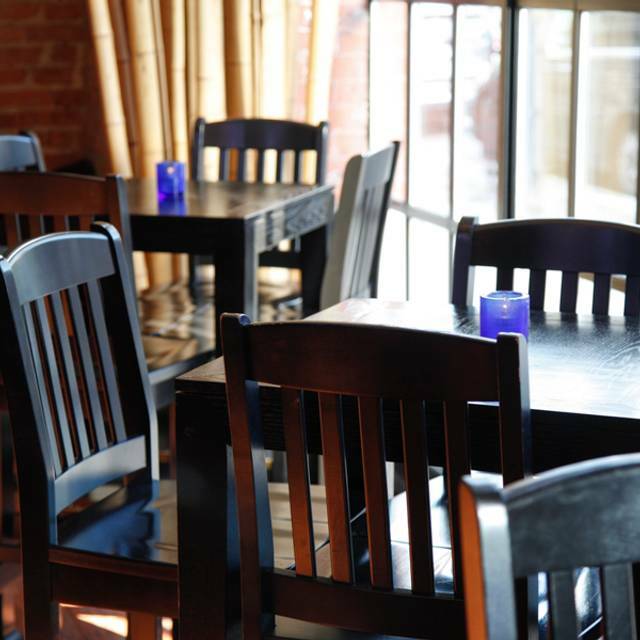 SUNDA BRUNCH: 10 AM - Weekends! Saturday & Sunday Brunch features a special brunch menu with new items as well as Sunda Signature favorites, a gourmet “build your own” bloody mary bar, asian-inspired Mimosa-Kits and more! 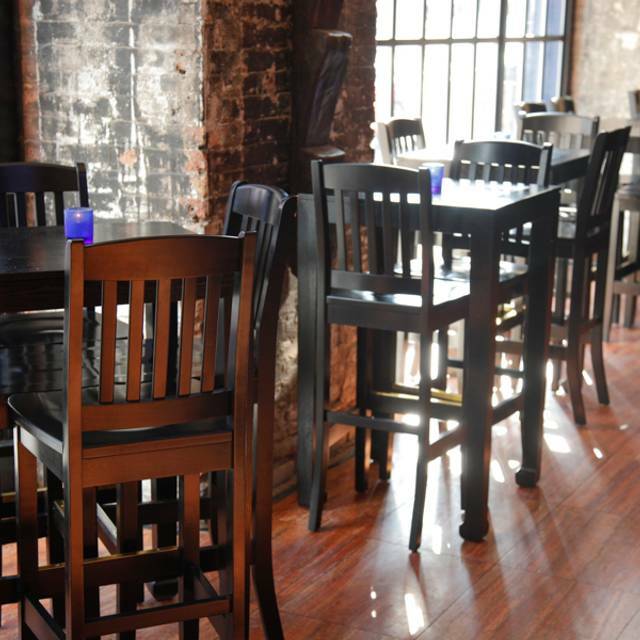 Brunch services from 10am – 3pm on Saturday and 10am – 4pm on Sundays. 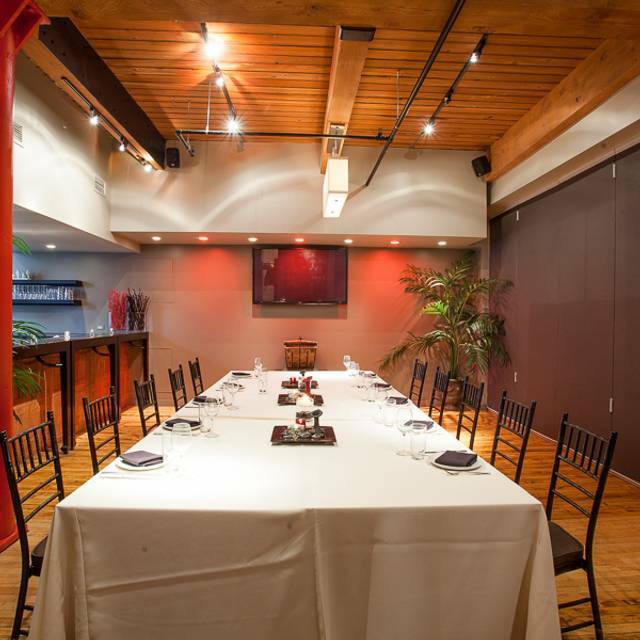 Email events@sundachicago.com for Private Party Room information and in-house customized catering options. Order party platters for "pick-up" for your office lunch, event and more. 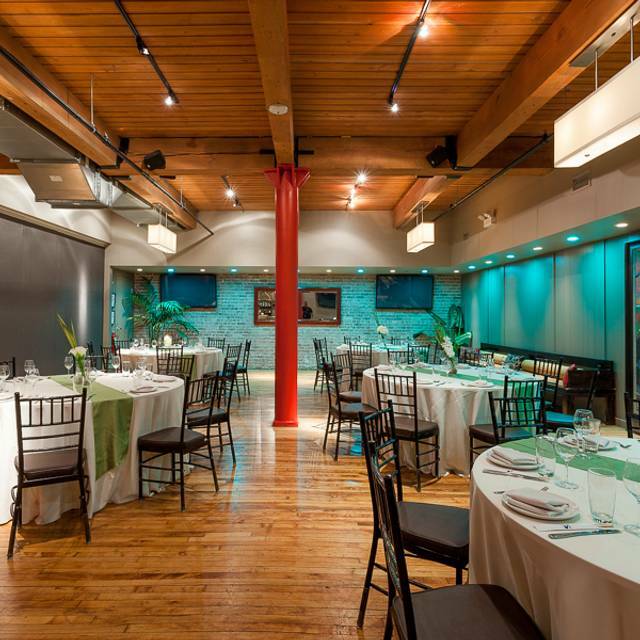 For 'full-service" off-premise catering inquiries please email events@sundachicago.com with your request. 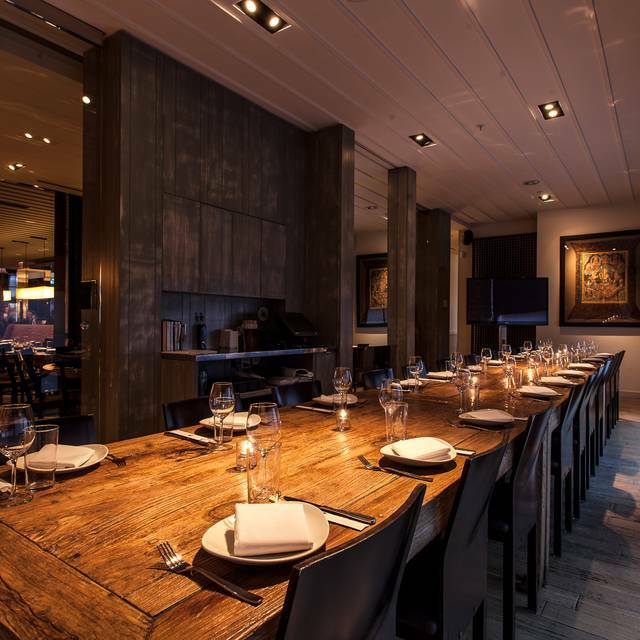 Located within Chicago’s bustling River North neighborhood, Sunda pairs New Asian fare with Midwestern hospitality for an award-winning concept. 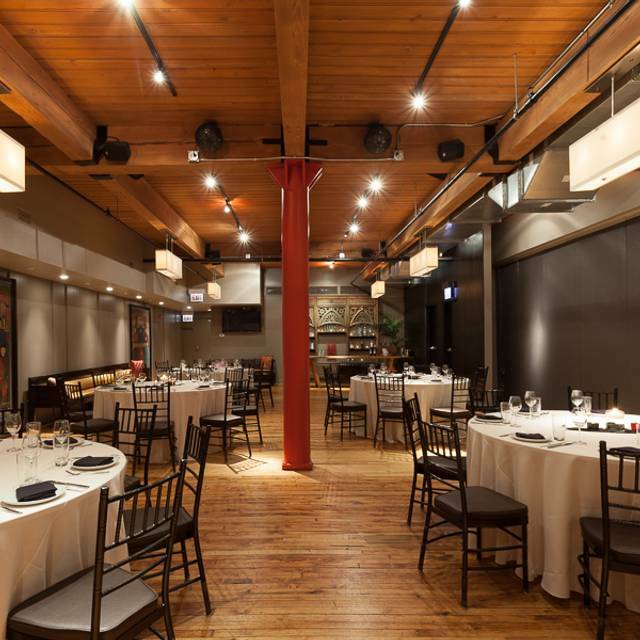 Offering contemporary interpretations of traditional dishes from Japan, China, Vietnam, Cambodia, Indonesia, Thailand, the Philippines and more, the Michelin-recommended concept from Rockit Ranch Productions has received numerous accolades, including Best New Restaurant and Chicago’s Sexiest Restaurant. 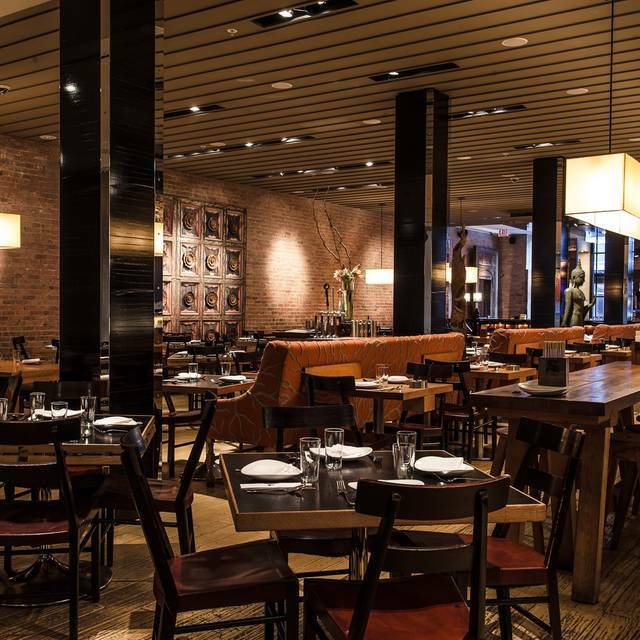 Showcasing exceptional cuisine from Executive Chef Jess DeGuzman, mod décor from renowned designer Tony Chi, a chic, yet approachable ambiance and seating for more than 200 guests, Sunda has rapidly become a mainstay on the Chicago dining scene. Spicy "Tail of Two Tunas"
Spicy tuna, spicy shrimp, masago, cucumber, scallion, kanpyō, avocado, rayu, sambal, ghost pepper. Caution: Ghost peppers are dangerously spicy and appears randomly in a single piece, are you feeling lucky? Hadn’t been to Sunda in a long time and can say I’ll be back sooner than later! It was an excellent experience from start to finish. Great service! Great food! My brother and I split four dishes. Including the Brussel Sprout Salad, Crispy Chicken, Beef Lollipops, and the special Salmon Maki. Everything was perfect! Solid lunch spot for clients. Happy to take folks there and the Salesforce discount is nice. Brothers Birthday, food was amazing, server was very sweet, polite and respectful. Only complaint was that it was very cramped. Tables were so close together I couldn’t even squeeze out to go use the washroom without saying excuse me between every table. Noise level was loud but it died down later into the evening. I would definitely recommend this place and would come back again. Best birthday ever! Best food ever! It was okay, brussel sprout salad was not crispy like I remember and the pad Thai had no flavor. I have wanted to take my husband there for years and it was beyond disappointing. Also, the place was empty and I was stuck behind a pole and looking at the wait table listening to the wait staff conversation all night. One of the best experiences I've ever had! The food was so delicious and the service was awesome! Food was above average. Great fun atmosphere. Very helpful and accommodating staff. Good food but very loud and crowded. Tables squeezed into every spare inch. Not a relaxing atmosphere. Food was amazing. So flavorful and inventive. Really incredible. Service was great and a lively atmosphere. 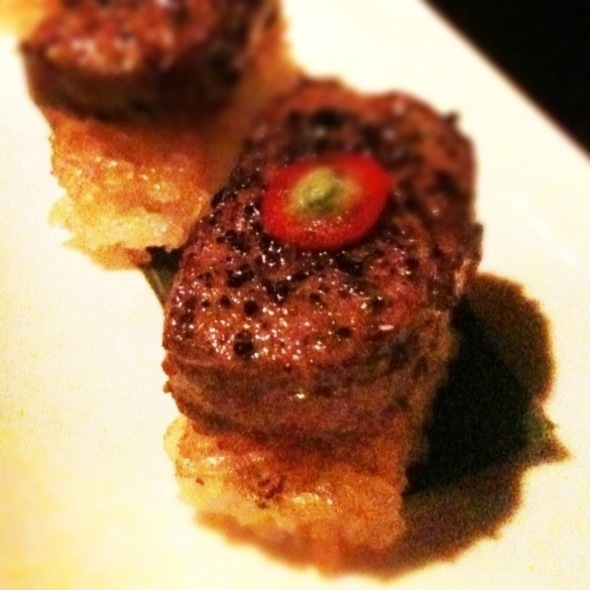 I highly recommend Sunda. The food was amazing but the noise level was so high it became annoying and left before finishing our dinner. A nice vibrant Sunday evening dinner. The cocktails, food and service were on point. Excellent service. Waitstaff very attentive. Glasses were never empty. All the dishes were full of flavor. Food arrived at table relatively quick. You can ask them to bring out food as they get made or all at one time. Favorites were the pork adobo fried rice, tempura French toast, and pork belly skewers. Valet parking $15. Street parking available for $4/hour with 2 hours max. 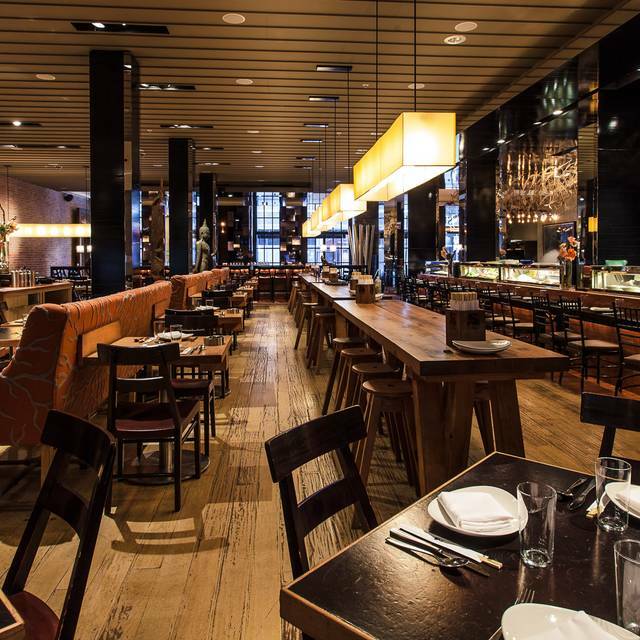 Somewhat pricey but probably within range of downtown Chicago restaurants. It was my sister’s birthday and our waiter could not have been any more awesome! Loved everything about our dinner. Great food & service as always. It’s pricey but worth it! The food was so good!! The only thing that would’ve made the night 100% was if the waiter came by more often since there was a ton of waiting. Ask for a certain table and was told it was only for 4. Five minutes later 2 people were seated there. Everything from the hospitality to the food was beyond amazing. Truly an exceptional dining experience. I can’t wait to come back. You definitely won’t be disappointed. We had a delicious meal, and our server was great! Will be back the next time in town. Great asian fusion cuisine! Less noise would be better but we still had a great night! I hadn't been here in years and was excited to return. It's very loud and jam-packed. The menu is (no joke) an overwhelming 8 - 10 pages long. For some reason they recommend doing family style, probably to get you to order more overpriced dishes. They do have a vegan menu! Points for that. However, I ordered a vegan curry that was delicious but soupy and was not plated with rice? I had to ask for rice and wait 10 minutes while it cooled in front of me. Overall, a weird, complicated eating experience that was SUPER expensive. Take your money somewhere else. Great food and service. Had a great time and will definitely go back. Im coming back after 4 years and still the food, ambience, service is exactly the same. Top notch! Food and service was amazing. The only drawback is the noise level. It is very loud. One of our favorite places when we come to Chicago! So very delicious. Very attentive and responsive to allergy restrictions. Happy we got the recommendation! We love Sunda! So happy to celebrate a big birthday there with dear friends. A+! Excellent service and knowledge about the menu. Food was amazing. We will be back! The food and service is always great. It can sometimes get a bit loud. The Brussel sprout salad is amazing. Out waiter was outstanding and the food was great. I thought that the descriptions in the menu were right on. We stopped on the recommendation of a relative who lives in River North and have already thanked him for it. Will definitely consider returning when we are back in the city. I went with my mom and it was perfect for us. We called to have them move up our reservation and they were very accommodating. We ordered the spicy edamame, busses sprout salad, lobster wagu roll and the edamame dumplings. The Brussels sprout salad was by far the best.